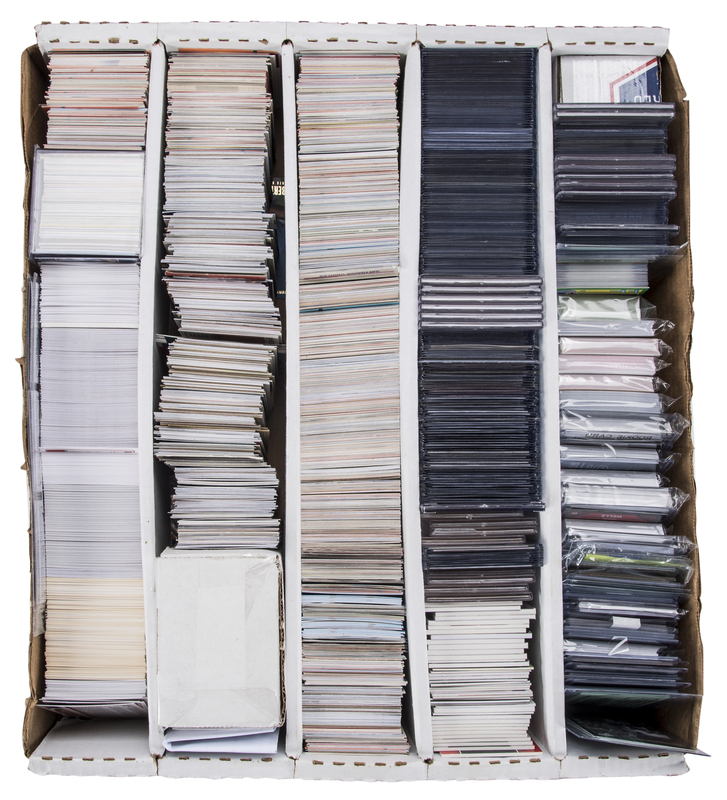 Lot Detail - 1980s-2010s Topps and Assorted Brands Collection (52,500+) - An Avalanche of Trading Cards! 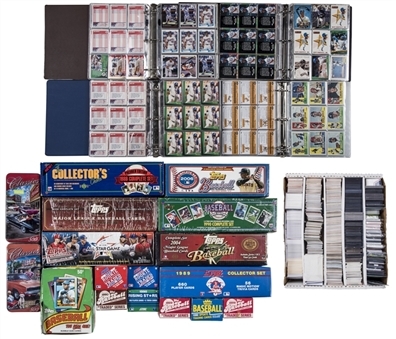 1980s-2010s Topps and Assorted Brands Collection (52,500+) - An Avalanche of Trading Cards! 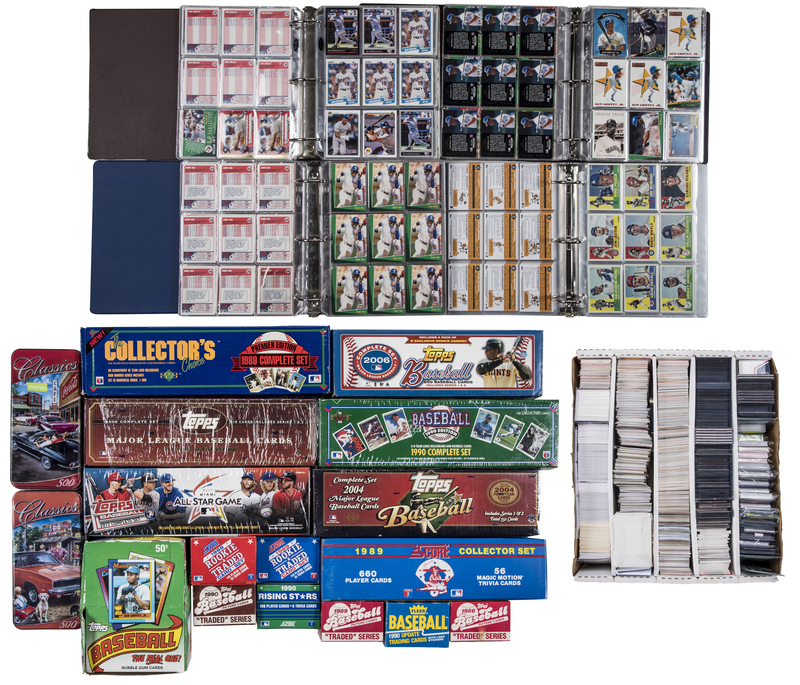 Offered is a large baseball card (a small percentage are basketball) collection from the 1980s to 2010s. 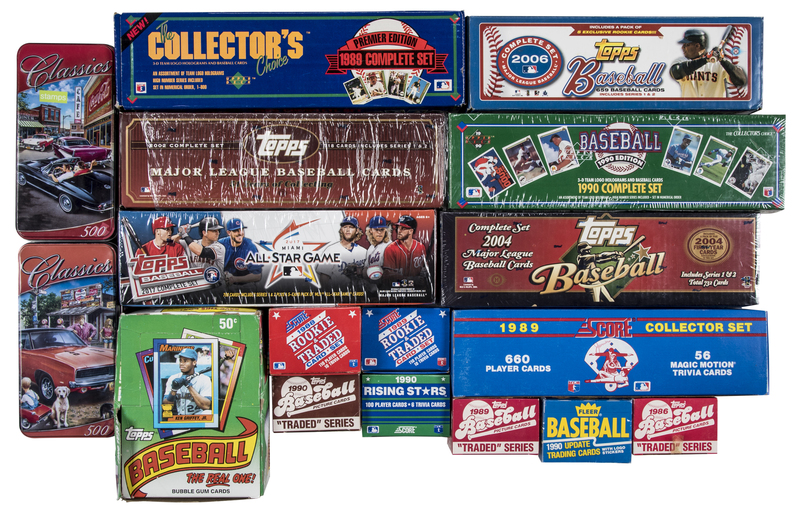 Brands such as Topps, Bowman, Donruss and many more are represented in this hoard. Relive the 1980s to 2000s (mostly 1990s and 2000s) and imagine the fun the days spent sorting and arranging would bring! Condition, as expected, generally falls in the NM to NM/MT range (some are lesser). 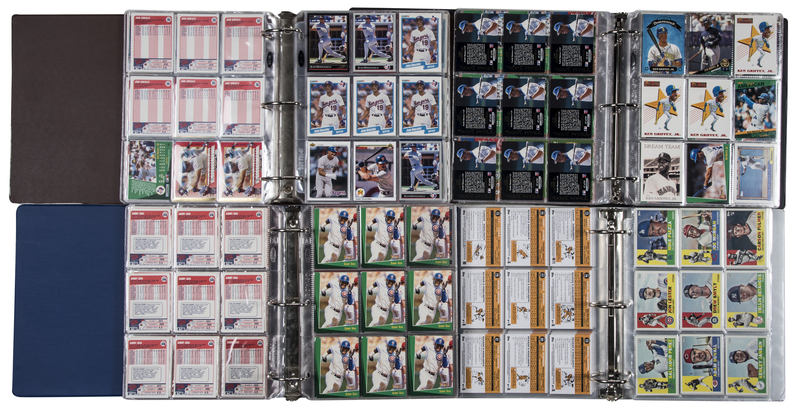 Highlights include: Binders (37) - 9-pocket pages stuffed with mainly Hall of Famers and Stars such as Ken Griffey Jr. (including 1990 Fleer - 91, 1990 Donruss - 39, 1990 Donruss Diamond Kings - 40), Michael Jordan, Mike Trout, Tony Gwynn, Derek Jeter, Wade Boggs, Nolan Ryan, George Brett, Ozzie Smith, Roger Clemens, Frank Thomas, Cal Ripken Jr., Don Mattingly and many, many more. 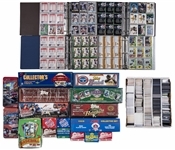 Sets (50+) - Highlights include: 1982 Topps, 1983 Topps, 1984 Topps and 1989 Upper Deck (missing #1 Griffey Jr); a few are housed in pages/binders. About a dozen of the sets are the smaller-sized traded or rookies sets. Due to the incredible size of this collection, a detailed list is not available, however, on-site viewing is definitely recommended. Please note: Due to the size and/or weight of this lot, the cost of shipping may be substantial. Local pick-up is strongly recommended.